For a while now I've been searching for great honest trustworthy training and company in establishing an online business. I stumbled upon some good WA reviews which spoke volumes to me. So now I'm looking forward to getting through the training & hoping that it all meets my expectations. Really gets your creative juices going - Mmm… so many possibilities! Not just affiliate marketing. It can feel overwhelming to begin with, especially for total newbies who are technically challenged to this online thing. No worries, it becomes clearer and makes sense as we learn it at our own pace! & there is so much help and support if needed from this awesome community! It’s a beautiful thing putting the learning into action and seeing it take shape! So is it meeting my expectations? Well in short – Yes & More. Truly a one stop for everything to develop an online business of your choice or however many your heart desires. To not have to worry or figure out about where to host your websites, etc… that it is all inclusive is brilliant! I love the fact that this is a spam free environment and you’re not continually bombarded with upsells unlike many other platforms. Apart from the encouragement to go Premium & the Jaaxy keyword tool – that’s it! & they’re totally optional - But really great options to take advantage of when the time is right for you! & of course the Yearly Premium Plan makes it all so much sweeter! I noticed you are a Divi user, are you still using it? How are you finding it? I'm trying to get my head round changing over to Divi. I'm in the process of checking out the 2 chaps you highlighted but still don't seem to find how to change theme without breaking the site. Sorry to hear you're having speed issues. I have no clue on these things & haven't done any training on this. So what speed are you getting? Are support able to help? Many thanks for your offer of help Alanna. I hope you find the right solution for you. I enjoyed reading your profile. I look forward to interacting with you some more in the future. Thanks for coming by & connecting. Looking forward to our paths crossing. Hi Brigitte, thank you for following me. I am following you back. Brigitte, thanks for following me, and of course I'm following you back. Good luck in your journey here at WA, and with your online business! Thanks for coming by and nice to meet you. If you need any help or advice, feel free to contact me. Thanks for coming by & for the help offer. Thank you, sorry for the late reply, I have been building three new traffic funnels which has taken my attention over the last few weeks. Hi Sharon, nice to meet you! Thanks for stopping by & connecting. Best wishes to your continued success & our ongoing connection. Thank you for liking my comment (Wealthy Affiliate Review). Wanted to come by and get to know you a bit. I will follow you! Hope you are doing well! Wish you a prosperous online business. I see you're from Sweden & now live in Switzerland. I have fond memories of Geneva. Lived there as a child with my grandparents for a couple of years. & surprise went to Sweden, Perstop I think it's called, once to visit my grandmothers brother. In all honesty I don't remember much about it. You're welcome. I do like the points you raised hence why I liked it. I've just got round to post some of my thoughts, it took me a while to compile it - lol! Brigitte, happy about your answer. It's a small world, isn't it? It's great that you have some connections to both Sweden and Switzerland, even if it's some time ago. Where do you live now then? Yes it can be a small world,I live in England. You're welcome, thanks and nice to meet you too. I'm enjoying reading your posts as a lot of what you have written resonates. Wishing you great success! You're very welcome and welcome to my tribe. 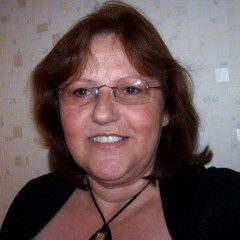 Hello Brigitte, Thanks for the follow and I am now following you. Best of luck to you. Dave. Well I can see you have been very active in the short time you have been part of the family. I came across some of your posts & enjoyed them. So thanks for them and for the follow. Thanks for coming by and nice to meet you. I enjoyed reading your 'Storming the Wall' blog which I happened to click on by chance. Hi Brigitt.Thank you for the thanks and have a very Happy Thanksgiving. 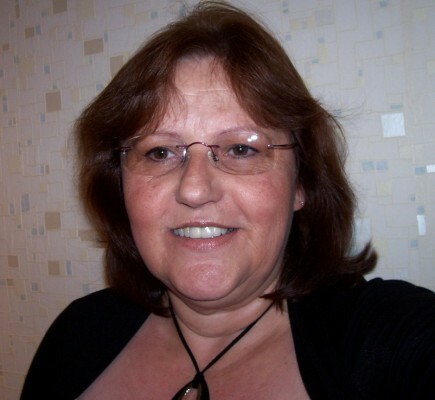 Hi Brigitte, Thank you for including me in your network. Wishing you great success with your online business venture. Hi Lis, likewise and thanks for coming by. Thank you Brigitte for the follow and many blessings to you here at WA. If you have the time or wish to, please check out my training (Bottom Right Blue Button) on my profile page. I explain ways to help you build a better website and best practices here at WA. I also post an entertaining and/or humorous blog every Sunday. Enjoy! Thanks for dropping by, the welcome & the follow back. Hello Brigitte! I’m Coach Rebecca. Thanks for the follow. I am happy to connect with you. Please let me know how I can help you with your dream for online marketing success. Thanks for the connection and help offer. Nice to meet you. Thanks for the follow & Welcome to WA to you too. What a lovely family picture & interesting life you have. Wishing you all the success you're looking for. Thanks for all your contributions to the community, I have found many of them inspiring & some as if you were speaking my mind. Wishing you great success too! Hi Brigitte! Where are you at in your training? I'm at level 2 or 3 in the certification courses. It's taking me a minute because I'm busy visiting folks on the site. Got any good niche ideas for baby boomers yet? Keep me posted OK. I'll be following you. Good luck! Thanks for dropping by here too, lovely to connect. I've always known what my subject matter is & it's end goal. The hard part is in which way to present & deliver it in a way that flows, as there are so many angles. What was interesting in your Baby Boomer blog was getting confirmation of many of my own thoughts for target audience. With the training I'm all over the place really as I felt I couldn't complete some tasks without first figuring out other aspects & I'm not focusing on a specific product. eg: Finding a theme that I liked & understanding how they worked to me was really time consuming & still work in progress to get it to do what I want. Like you I have also spent a lot of time checking out the different areas here in WA. Lots of inspiration. Following you back! Best wishes with your own progress! Don't feel bad. Took me 3 days to pick a theme, I was trying them on like new shoes! Thanks Marion. I came across some of your comments whilst searching the Q&As; and was touched by your story & impressed with your accomplishments. Brigitte, I see you are making some good progress through the Affiliate Bootcamp. Just wanted to pop by and see if you need a hand with anything? Anyways, just checking in. Get back at me if you need anything Brigitte. Many thanks for checking in. I will more than likely take you up on your offer of help in due course. I've gone through all the lessons (a wealth of great information) which I'll go through again in order to complete the tasks to fit in with my branding as I can't see myself continuously doing reviews. The site hosting is there a limit on space? Can we have our own videos here? Where would I find all the benefits/specs relating to having websites hosted through WA? Space is never an issue with hosting these days, so that is the last thing you need to worry about. Everything you need to run and operate a very successful business is here on our state of the art platform, we offer a hosting/website experience you won't get anywhere else (In terms of quality, security, performance). Many thanks for that info. Looking forward to the spec info as discussed in the thread. Just spent hours trying to figure out this whole email thing, with regards to how best to set it all up in order to manage them. I raised a question in the email discussion relating to course 2 lesson 3. I've since deleted my email forward & recreated it as a new atmail email seeings as gmail doesn't allow us to reply as the domain anymore. - However the replies to those emails still haven't shown up in atmail 45 mins later??? Any thoughts? Also is there a way we could set atmail to notify us at another email account if/when new mail has been received by atmail? Another headache I'm having is trying to get my website to look half decent & of course as of yet the course hasn't covered how to's on appearance, etc... (whereabouts would that be? I have searched but again spent hours searching not getting anywhere fast for what I need) So when the course requires to share website for comments that's a stumbling block. So yes a website framework can be set up in 5 minutes but no way ready to be launched for a newbie not understanding wordpress. From the write ups for joining WA and intro once I'd joined I had hoped the step by steps would be more fluid (don't get me wrong I'm loving all the info), I seem to need other know hows inserted in the steps I've already covered in order to complete tasks. I really want to be able to feel good about promoting WA to other newbies, but before I can do that I need to figure it all out myself. We actually have a superior solution we are working on that will allow you to manage your emails through platforms like gmail or outlook (so you don't have to use atmail at all). This is the ultimate solution and we will be wrapping this up next week. If you are having issues with receiving mail, I would suggest that you submit a support ticket and see what could be going on here. You can also find this within the SiteRubix menu under the "SiteSupport"(to the left). This is where you should go if you ever have loading issues with your website, email issues, or if you accidentally do something that adversely impacts your website. This support is 24/7 and upon submitting your ticket we will look into it right away Brigitte! Thanks Kyle, looking forward to the release of the superior solution. Sounds like it has been quite a journey to find your way here to WA Brigitte, but I am glad you did. If you ever need anything at all going forward, I am personally here to help you out so feel free to drop me a reply to this post or you can post a message directly to my WA profile. Yes Ian, quite a journey! lol! There certainly is a lot of rubbish out there sadly and some that fall short of their hyped promises from the front end which you only discover once you're in the inside! So far the training has been very informative (I'm about half way through the Get Started) and of course the community has been very welcoming. I'm really happy to hear that you're finding it all helpful so far, Brigitte. Let me know if you get stuck anywhere along the way. Hi and welcome to WA. This is a great place to learn and meet new friends. Follow the training and become involved in the community and you'll find the success you're looking for! Wishing you lots of luck and future success. Hello, Bridget! Congratulations on your decision to join WA. I am very glad you are! If you need any assistance, don't hesitant to ask. This a great community to be in! So welcome!! Many thanks for your welcome, guidance and reviews. No problem at all, Brigitte! Happy to help any way that I can!